There are 85 posts filed in Uncategorized ( this is page 2 of 9). 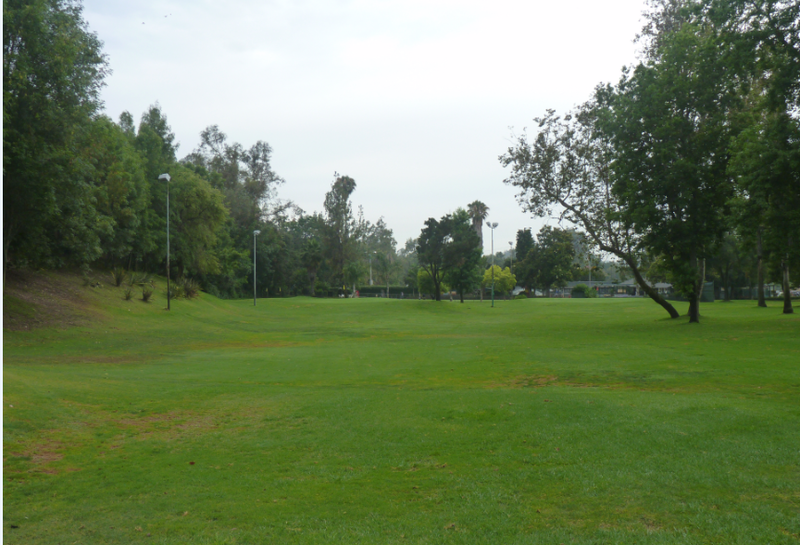 Arroyo Seco Golf Course is located in the South Pasadena/ Highland Park area. It can be a little tricky to find. From Arroyo Drive take Stoney Drive. Make a left on Lohman and you will pass some tennis courts just before you reach the golf parking lot at the end of the road. 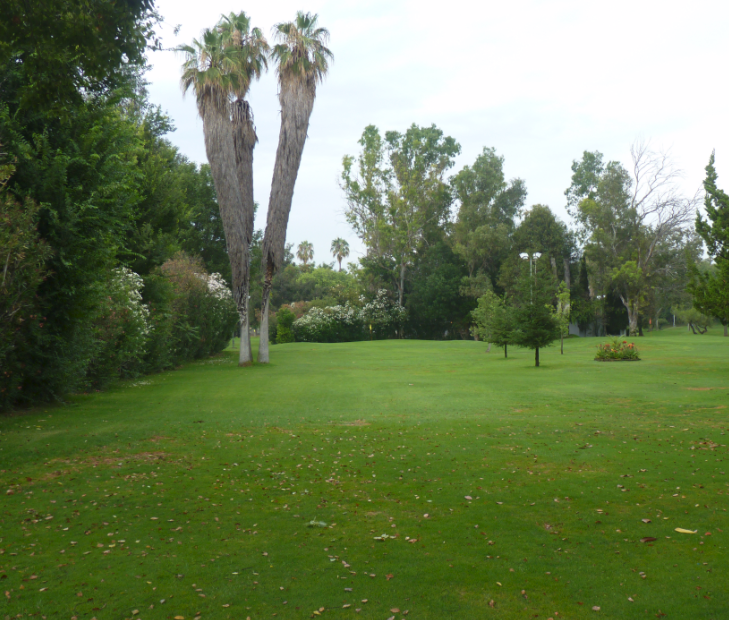 Arroyo Seco is a 18 hole par 3 golf course. 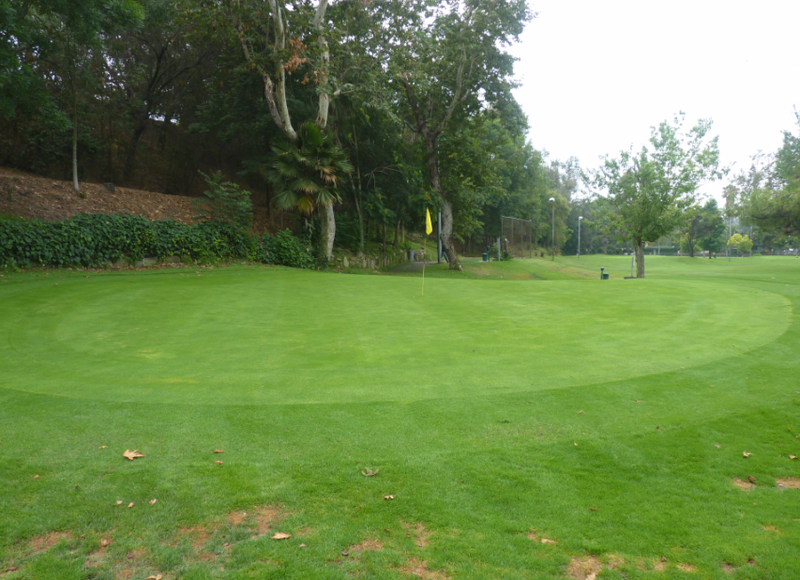 There are not too many 18 hole par 3 courses around, most are 9 holes which you have to play twice. There is a cafeteria/ bar located at the course. There is also a nice practice facility. Which includes a driving range, large putting green and practice chipping area. 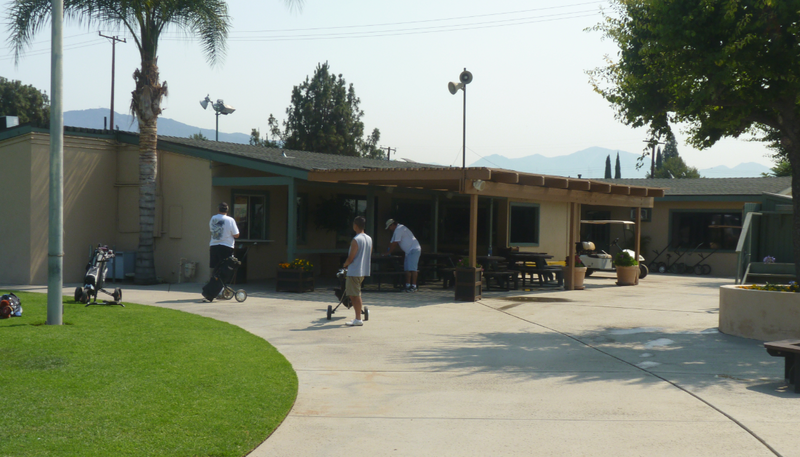 There is also a 9 hole miniature golf course at Arroyo Seco. I have played here several times and each time the starter has been abrasive and impatient whenever I have asked any questions. The starter office and cafeteria buildings are run-down and need of a coat of paint or a renovation. 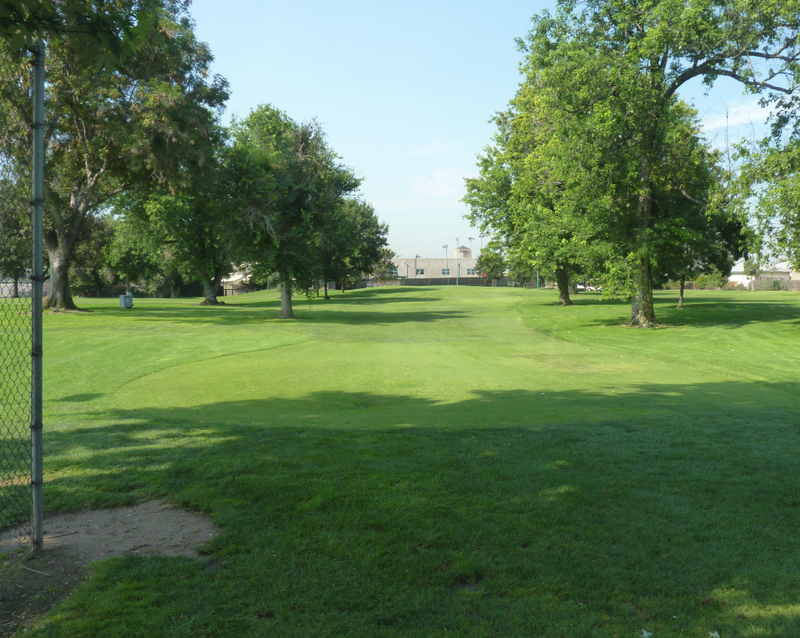 There is only a couple of bucks difference between the 9 hole and 18 hole rate, which means that the majority of patrons play the 18. 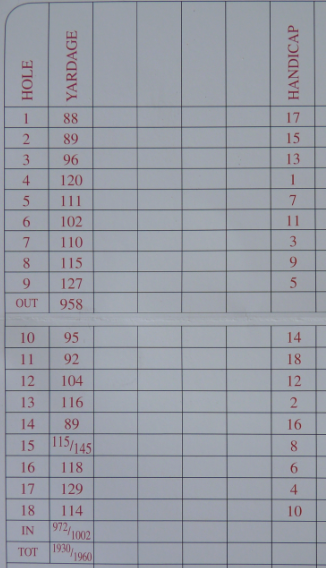 The pace of play is standard and you should expect to take about 3 hours to play 18 holes. I like the fact that hole 1 and hole 10 are located next to each other. So if the front 9 looks busy, you can easily start with the back 9. 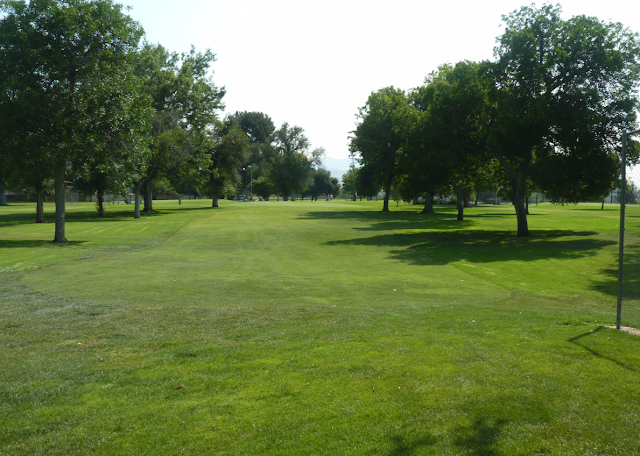 The course condition is good – above average. 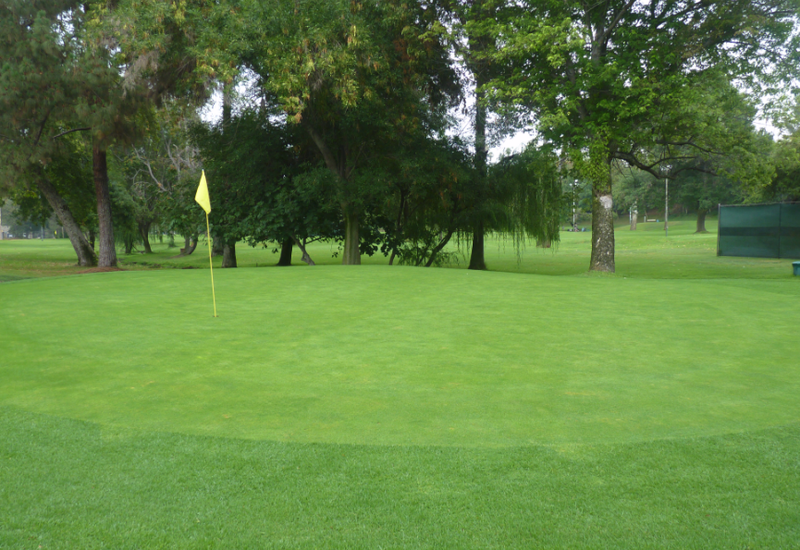 The greens are a nice size and run smoothly. I played here a couple of years ago and they were a lot worse. I think the course condition goes in spells – sometimes good, sometimes average. 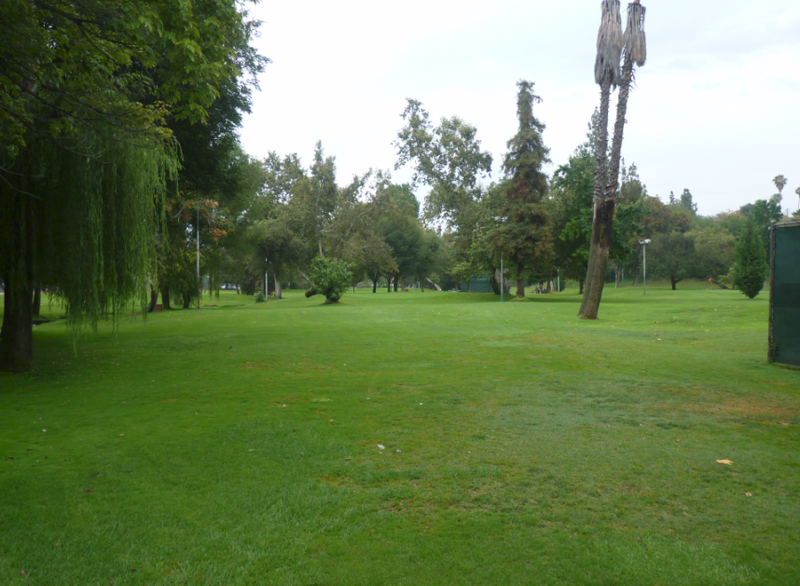 When I played last the grass is nicely maintained with few bad patches. 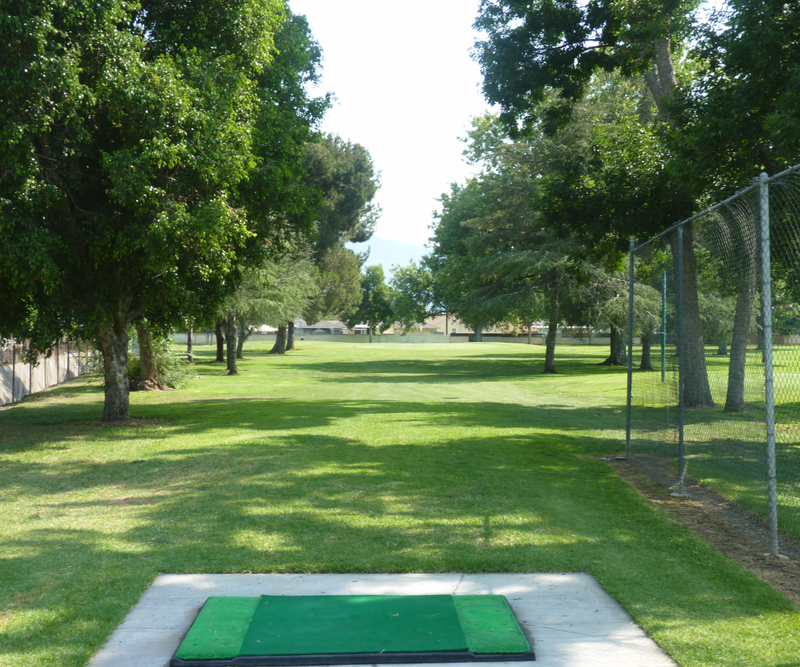 You hit off mats and plastic tees are provided – both for left and right handed golfers. The mats seem to be in good condition. The course design is somewhat generic. All the holes are pretty much the same length – in the 90 to 110 yard range. 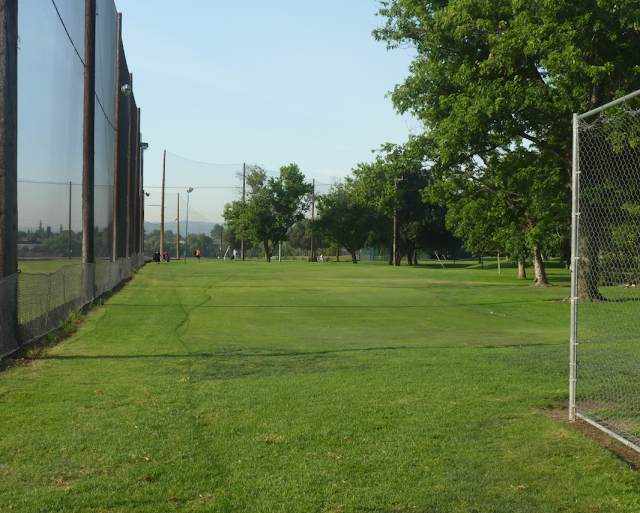 Which is great if you are looking to practice your GW or PW; but means you can leave your long irons at home. 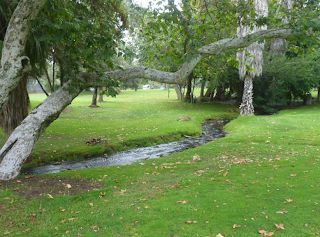 There is a small creek which flows through the middle of the course and comes into play on several holes. This is pretty much the only hazard on the course. 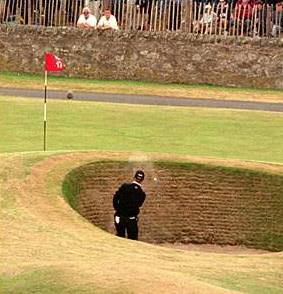 There are no sand traps. There are plenty of trees on the course and some come directly into play. 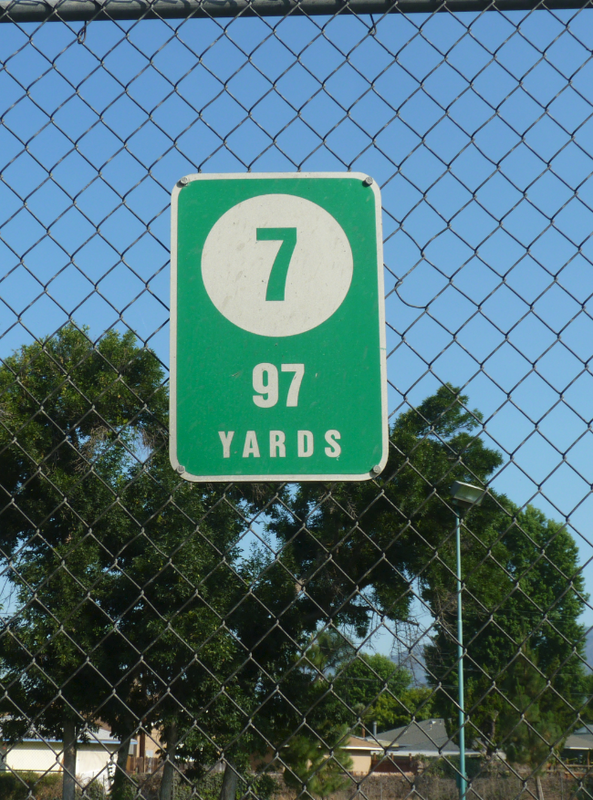 In particular hole 17. There is a large tree to the left which impedes the line to the green. Therefore forcing to hit right to reach the green. 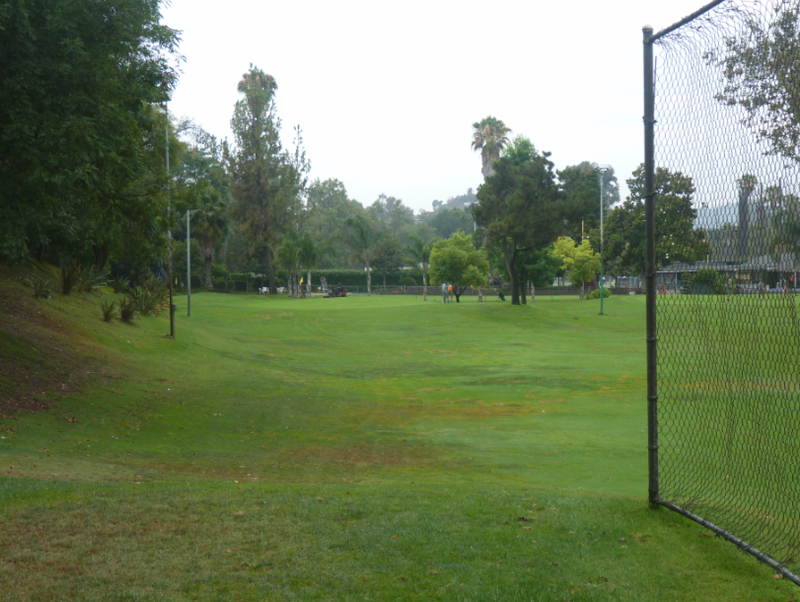 All the holes at Arroyo Seco are pretty much of the same. 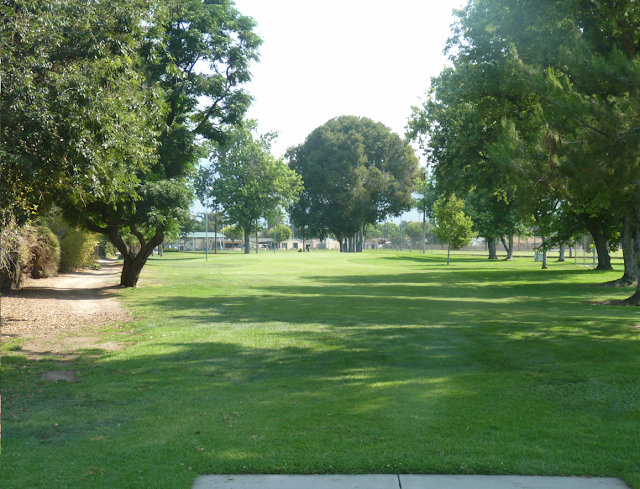 The only hole which comes to mind when I think of the course is hole 15. 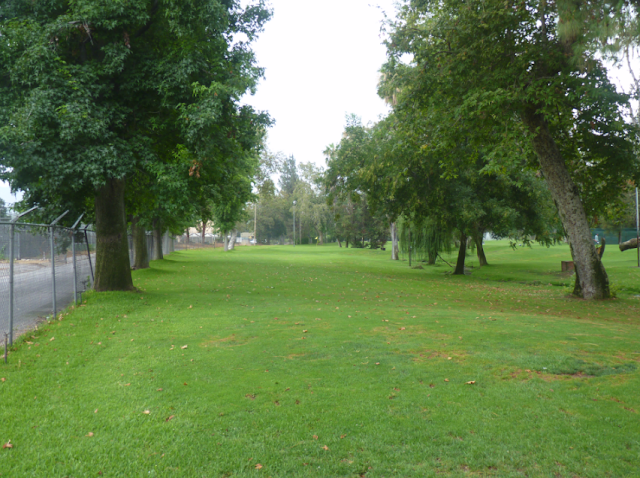 This is a longer hole – 145 yards for men, 115 yards from the ladies tee. It is a straight hole but has a small lake/ marsh kind of area to the right of the green. 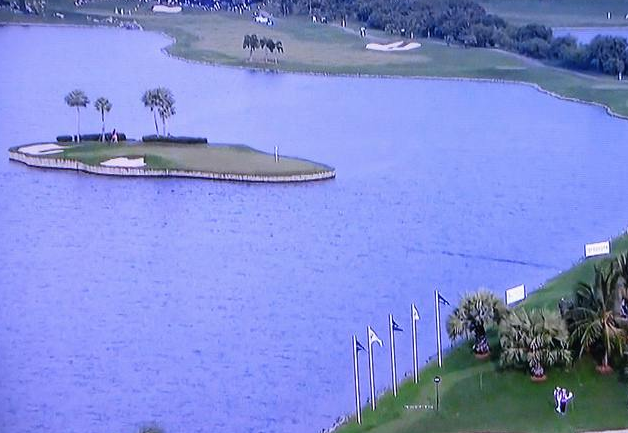 This is also the longest hole on the course. The course flows pretty well and each hole is signposted. 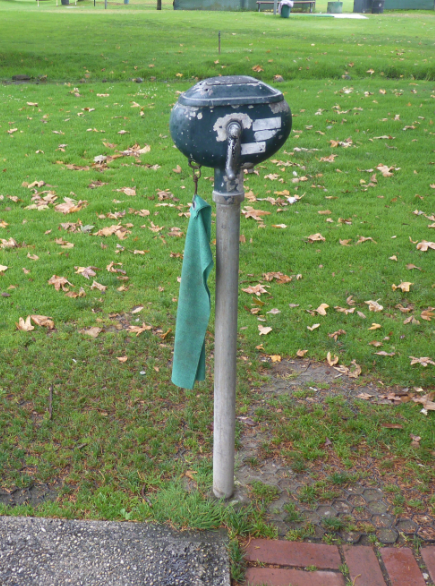 There are ball washers at the tees, but they are really old looking. When it comes to the course design with Arroyo Seco I always feel somewhat underwhelmed when I have finished my round. It feels like I have playing the same hole over and over. 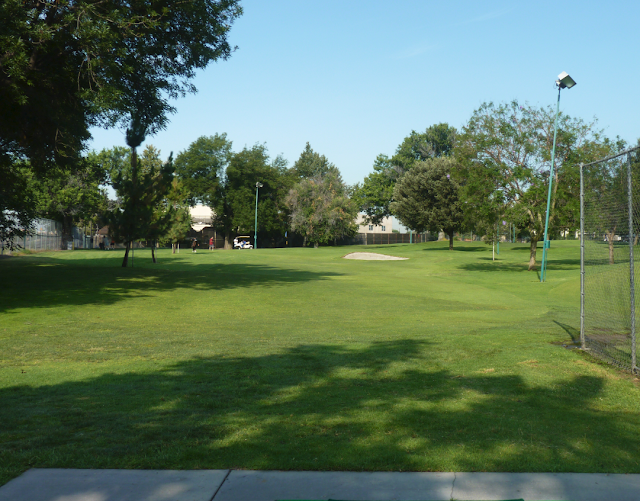 The last time I played I walked past the miniature golf course (as I was leaving the 18th green) it came across my mind that I may have had more fun playing that. 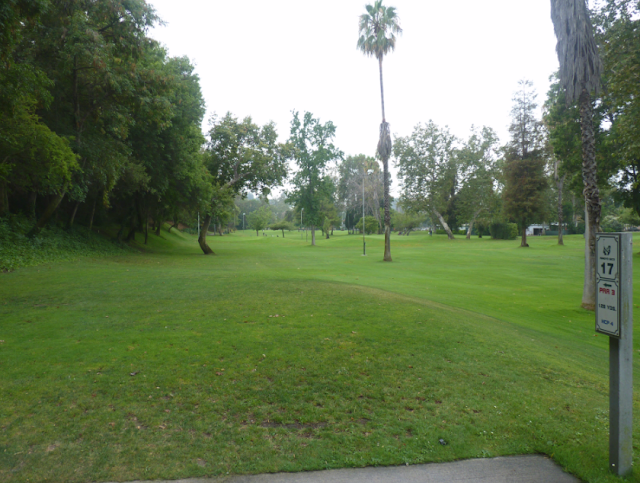 Overall, if I lived in the Pasadena area and wanted to play 18 holes of par 3, I would recommend Arcadia. Arcadia is in the same price range (if not cheaper with a $10 GolfNow deal). Plus Arcadia is much better quality course and the staff there are fantastic. I wish the starter at Arroyo Seco had a more friendly demeanor. Earlier this week I received this cool 8″x10″ personalized signed photo from golfing legend, Arnold Palmer. 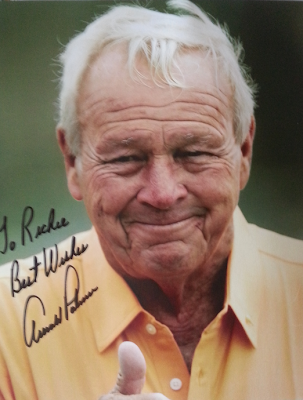 Arnold Palmer won 7 major championships between 1958 and 1964. He was inducted into the World Golf Hall of Fame in 1974 and received a Presidential Medal of Freedom in 2004. He is also the inventor of the famous beverage (lemonade mixed with ice tea) which is named after him. The Amata Spring Country Club is a private golf and country club near to Bangkok, the capital of Thailand. It hosts two high profile golf tournaments which were introduced in 2006. The Royal Trophy is a team competition between Europe and Asia, and the Honda LPGA Thailand is the first LPGA Tour event in Thailand. 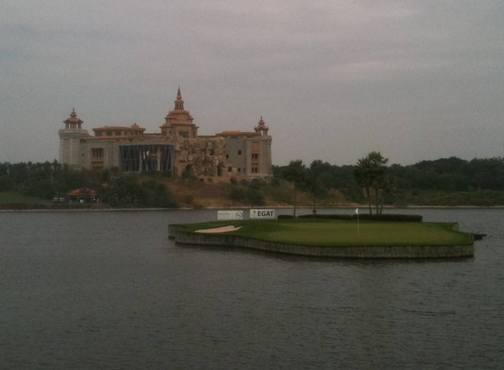 These are currently the two richest golf events held in Thailand. This course is home to one of the famous par 3’s in world golf. The 17th 130-yard hole, has a floating green that can be lengthened and shortened using underwater pulleys You have to board a boat manned by two guys dressed as sailors which take you out to the green. When you’re on the green it actually moves with the flow of the water. Here is a drill from Michael Breed (PGA Coach of the Year 2012). This drill teaches you to swing on the correct plane. All you need is a coat hanger. I had issues with my swing plane last year and I tried this out. It helped me greatly with my swing mechanics. I did 20-30 practice swings daily with the hanger at home in front of a mirror for about 2 weeks. It felt weird to start, but after a few days started to feel natural. This is a 2 minute clip from Golf Channel’s, Golf Fix show. Although we are straying off the golf theme with this post, it was so good I felt obliged to share it. David Beckham is one of the greatest football players to play for England. This short tribute video depicts his career moments in Lego. It is a really fun video for the football (soccer) or Lego fan. 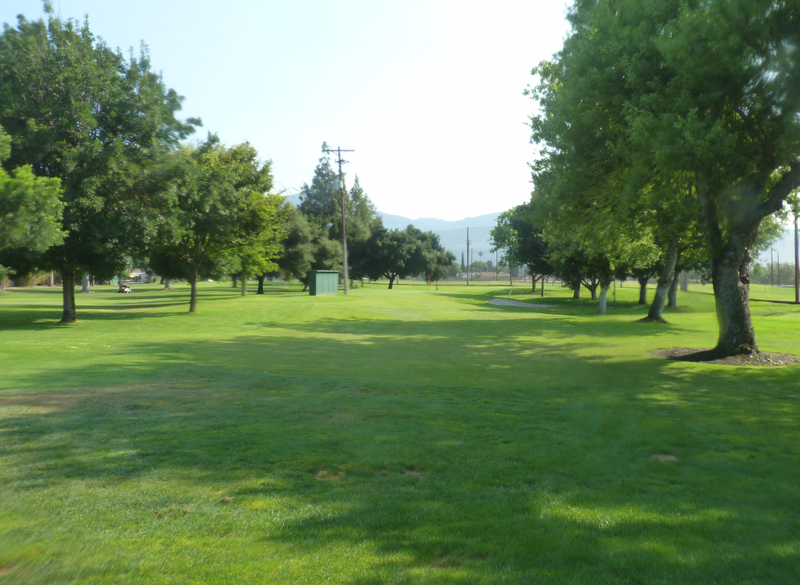 Oakhurst Links was the first golf course to be built in the USA. It was built in 1884 and held it’s first competition in 1888. 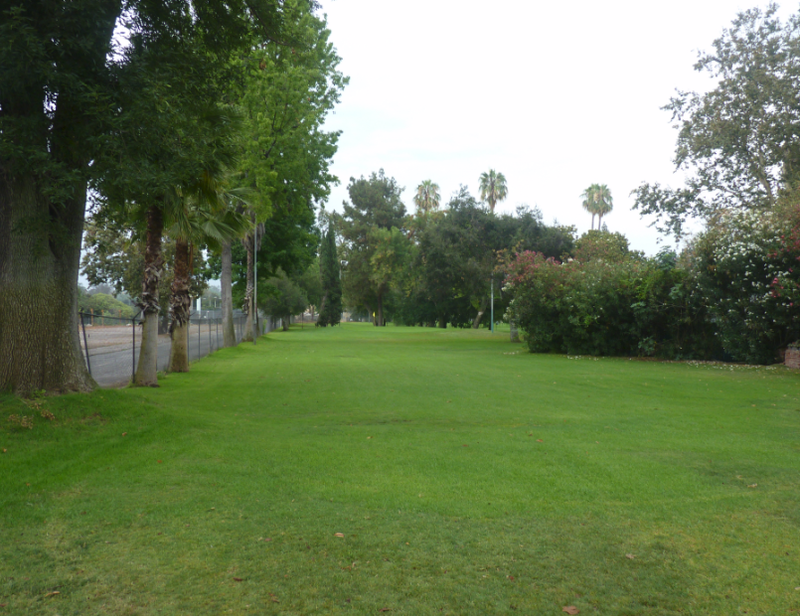 It was built in the grounds of Russell W. Montague estate (the course designer). 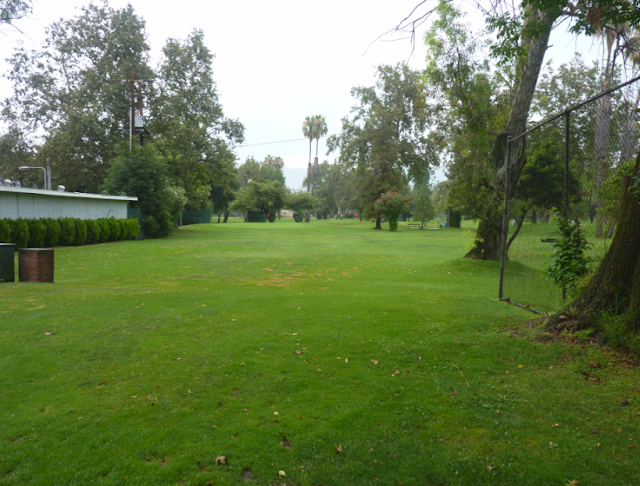 His house served as the Oakhurst Links clubhouse. Russell Montague learned about golf in Scotland and build the course with some friends, before any other golf course existed in the United States. 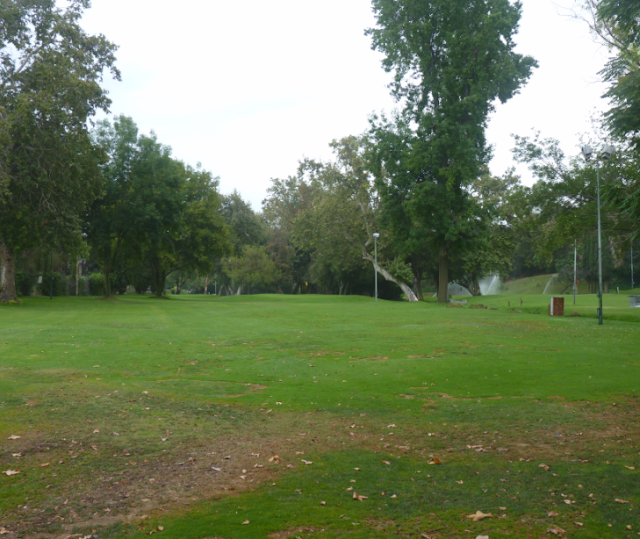 Oakhurst Links is a 9 hole golf course and is located in Suplhur Springs, West Virginia. 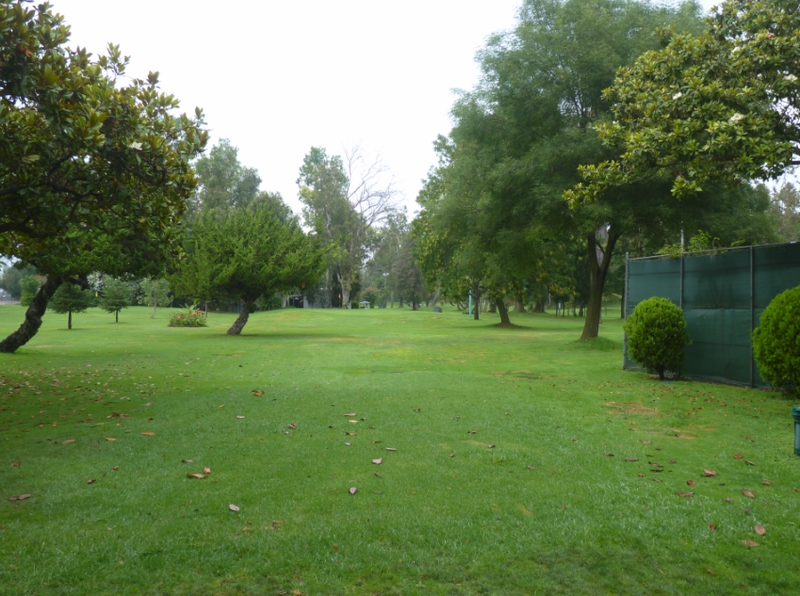 In 2001 the course was listed in the National Register of Historical Places. 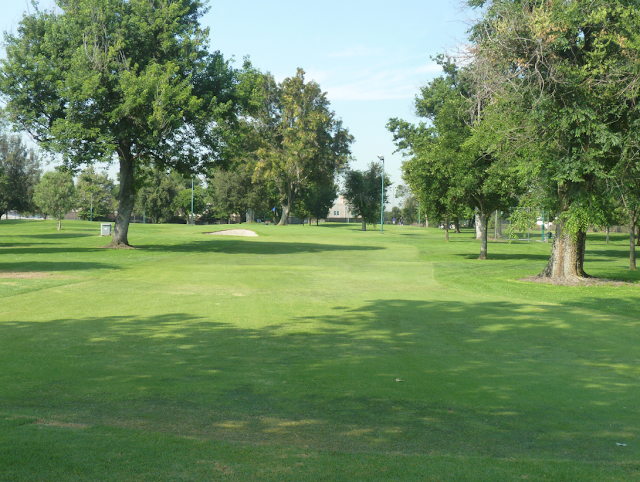 The course ceased golfing operations in 1912 and an effort to restore it started in the 1990’s. The owners ran into some cash difficulties and the course was bought by the Greenbrier resort in 2012. The course in now once again open for people to play. 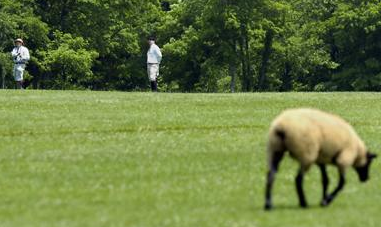 Oakhurst Links is operated exclusively as an amenity for registered guests and members of the Greenbrier. 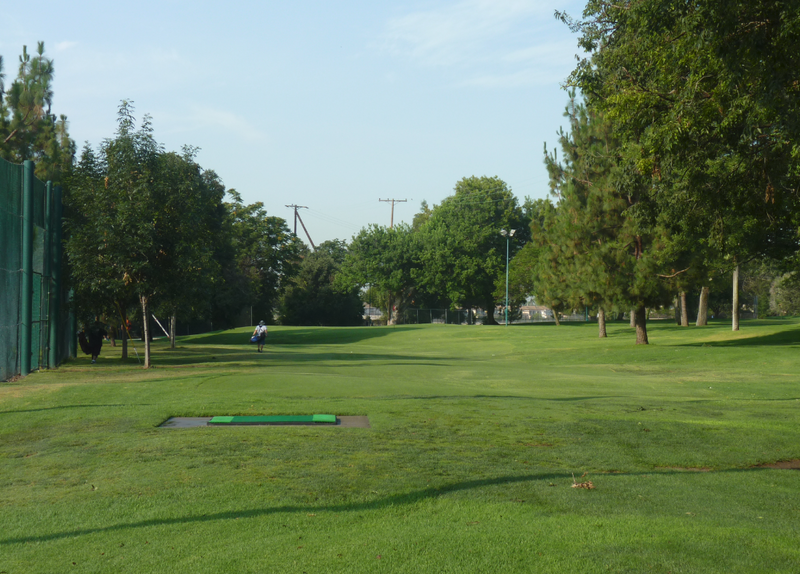 The course keeps the historic approach to the game – no modern equipment is allowed. 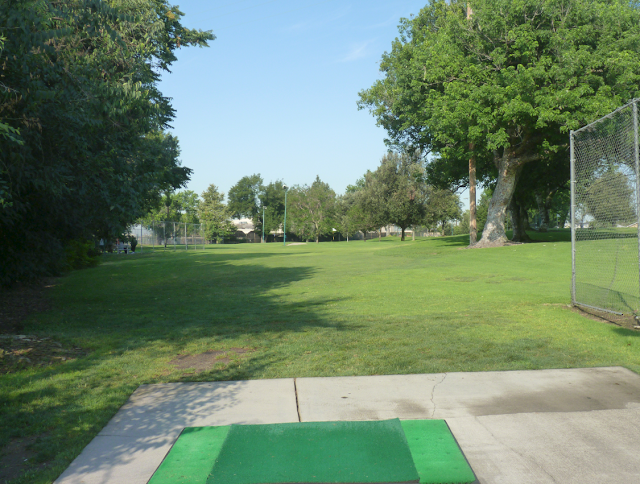 You play with clubs which have hickory wood shafts and use gutta-percha golf balls. 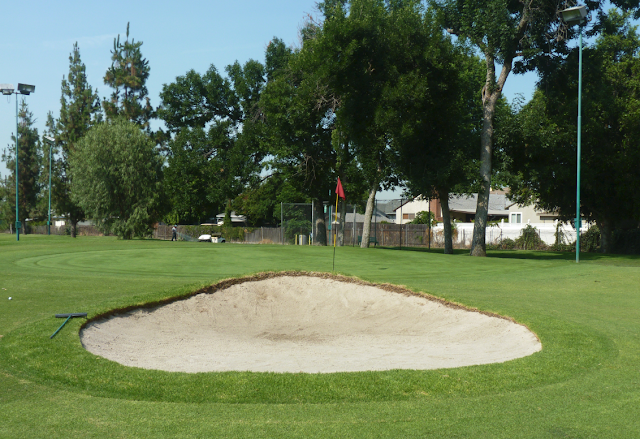 No tee’s, you simply take some sand from a bucket which is on the tee box and make a small mound from the sand to place your golf ball on. The rules of the course are of the period also. No ball makers. If your playing partner’s ball is in the line of your putt, you have to chip over it or hit around the other ball. Also if your ball breaks during the hole you have to continue with it, until the next hole. Where you can use a new ball. To play 9 holes costs $125. This includes rental of the equipment, balls, tour of the museum and commemorative certificate. 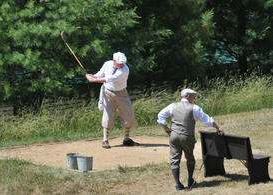 Players are encouraged to wear “turn of the century clothing”, which includes knickers, tall socks, caps, shirts and ties. All of which can be purchased at the club store. Links: What are Links Golf Courses? Merriam-Webster dictionary definition – “Scottish word; sand hills especially along the seashore“. Links courses tend to be on, or at least very near to, a coast, and the term is typically associated with coastal courses, often amid dunes, with few water hazards and few if any trees. 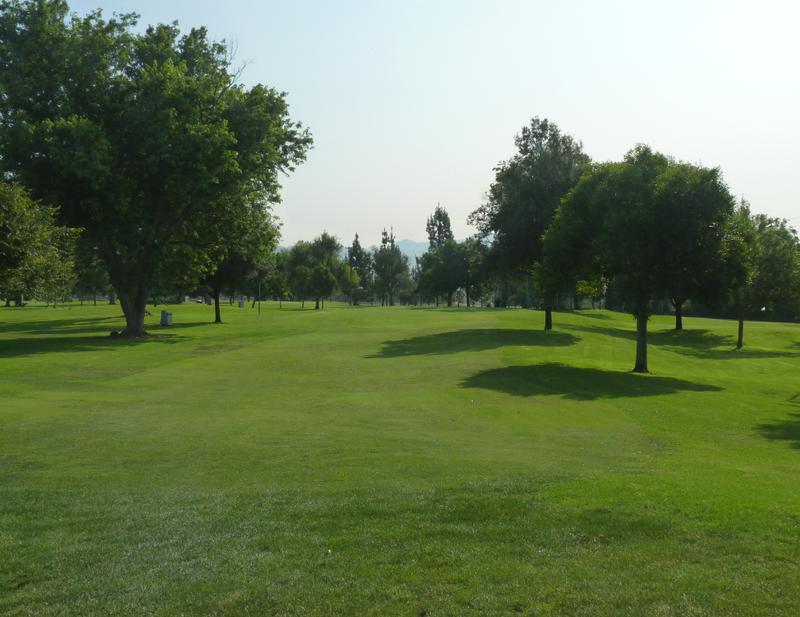 This reflects both the nature of the scenery where the sport happened to originate, and the fact that only limited resources were available to golf course architects at the time, and any earth moving had to be done by hand, so it was kept to a minimum. Even today, some links courses do not employ a greens staff, use only basic machinery such as hole cutters without boards to ensure that the hole is cut unevenly, and use grazing animals to keep the grass cropped. Although the term links is often considered synonymous with any golf course, few golf courses have all of the design elements of true links courses and are built on linksland. The presence of a seaside location does not guarantee a links golf course. Many famous courses that claim to be links do not have all of the necessary characteristics (e.g., Pebble Beach Golf Links, Old Head Golf Links at Kinsale, The Ocean Course at Kiawah Island). On the other hand, some courses located hundreds of miles from a coast can have all of the characteristics of a seaside links except for proximity to water. One notable example of such a course is Sand Hills Golf Club, located in the midst of the Sand Hills of Nebraska. The style of play on a links golf course is considerably different from the style of play on other types of courses. The challenges of links golf fall into two categories: Firstly the nature of the courses themselves, which tend to be characterized by uneven fairways, thick rough and small deep bunkers known as “pot bunkers”; and secondly, due to their coastal location and lack of trees, many links courses are frequently windy. This affects the style of play required, favoring players who are able to play low accurate shots. As many links courses consist literally of an “outward” nine in one direction along the coast, and an “inward” nine which returns in the opposite direction, players often have to cope with opposite wind patterns in each half of their round. The combination of the sand-based turf, sand dunes, general lack of trees, and seaside location means that links courses are frequently exposed to strong winds. As a result, successful links golfers learn to control the trajectory of their shots by playing a lower ball flight. Greens on links courses tend to be free of fronting hazards, allowing golfers to bounce the golf ball into the green rather than hitting high approach shots with strong backspin. Here is a video which gives an example of a true links course. 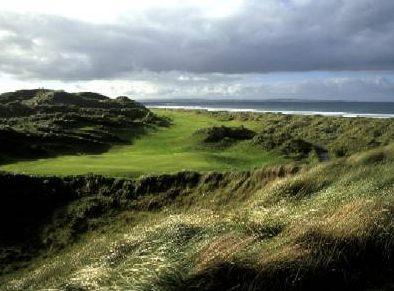 It features the Lahinch Golf Club in Ireland. 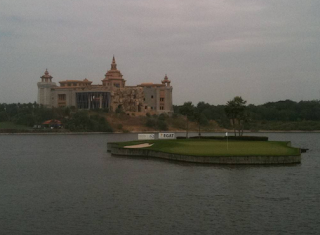 This course was voted in the top 50 of golf courses worldwide. 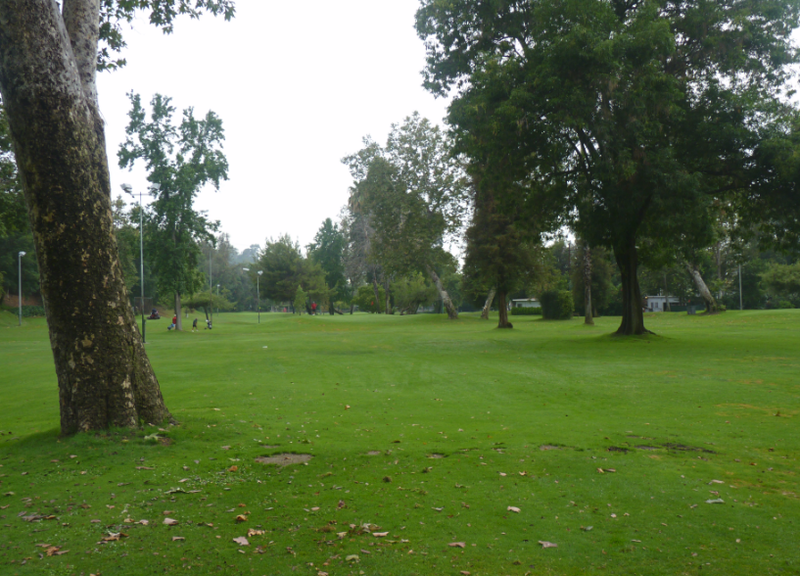 Arcadia Golf Course is located in the San Gabriel Valley, just south of the 210 Freeway, Myrtle exit. 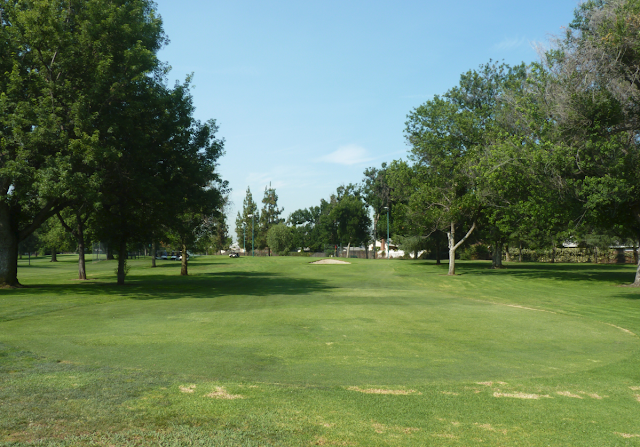 The golf course is about 5 minutes south of the Santa Anita Horse Racing Track. 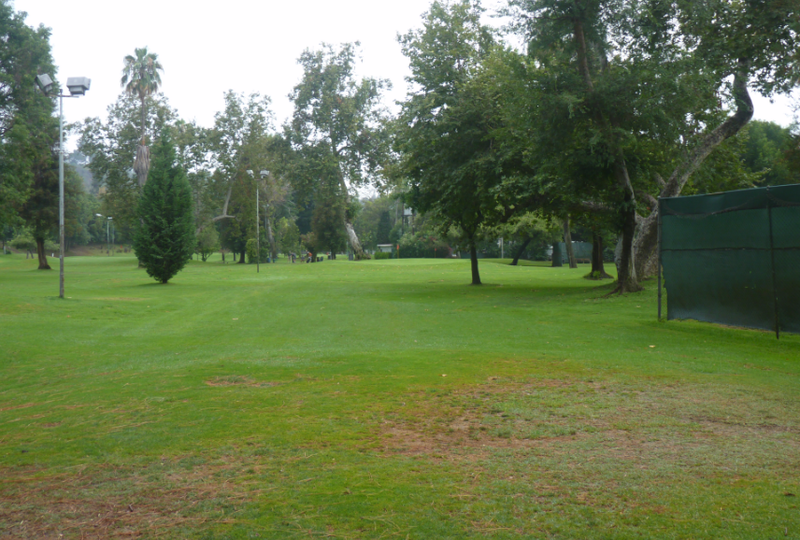 Arcadia is an 18 hole par 3 golf course. 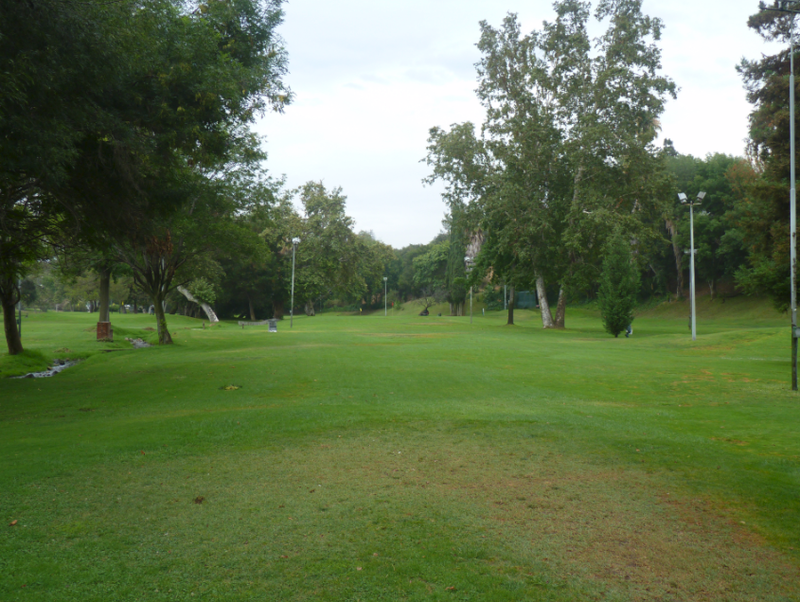 The course is short – average of 108 yards per hole. The longest hole being 153 yards. There are lights on the course which enable extended playing times. It is advisable to book a tee time. You can do this up to 7 days in advance using the golf course’s website – www.arcadiagc.com. You have to set up an account and use a credit card to hold the reservation against no-show. You then pay once you arrive to play. Carts are available for rent at this course, but we walked as usual – good exercise! I must say that the staff here are the friendliest I have come across in the 15+ courses I have played in the Los Angeles area. The starter was friendly. Then the marshall was very proactive. 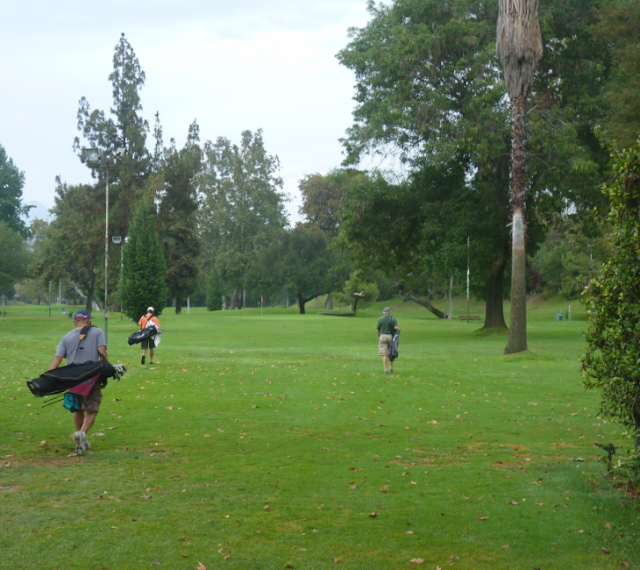 He was out on the course coordinating play ensuring larger groups were allowing smaller groups to play through. His name was John and he did a great job. He came and checked on us several times throughout the round and said if we needed any drinks to let him know and he would send someone out. There was a “cart-girl” who periodically drove around the course selling water, sodas and beer. The other people on the course were friendly and nice also. A couple of five person groups allowed us to play through and we completed the 18 holes in about 2 hours and 20 minutes. 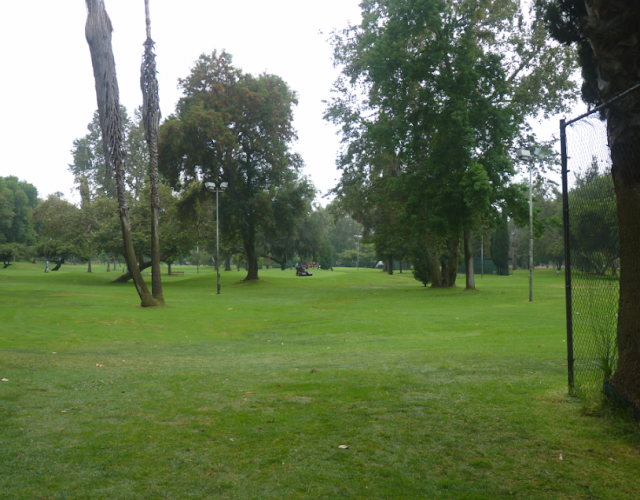 Much better pace than the previous week at Pico Rivera where it took 3 hours for 9 holes! 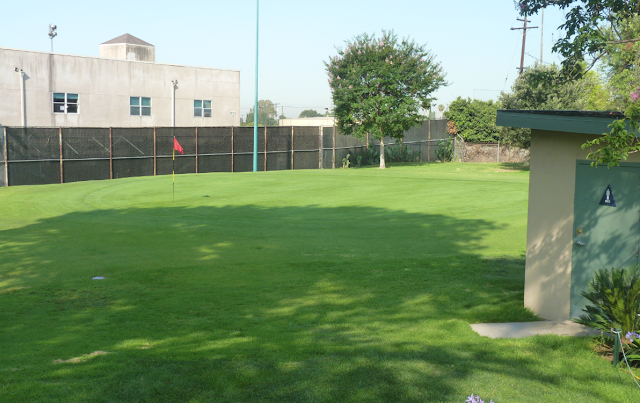 The course has a range and a practice putting green on site. There is a small pro-shop with a cafeteria inside. 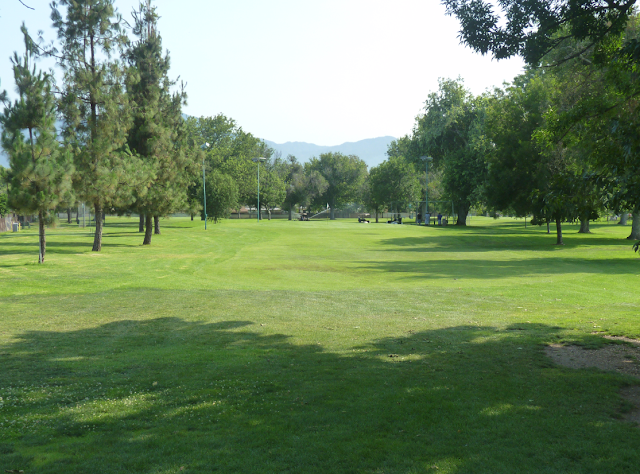 The course itself was in great condition. One of the nicest courses we have played. The grass was green, well watered and cut to a nice length. The greens were nice and ran fast. Although I felt some of the greens were a little on the small side. The course design was somewhat generic. As you can see in the pics below each hole was somewhat similar to the others. No water, but there were a few bunkers sprinkled throughout the course. 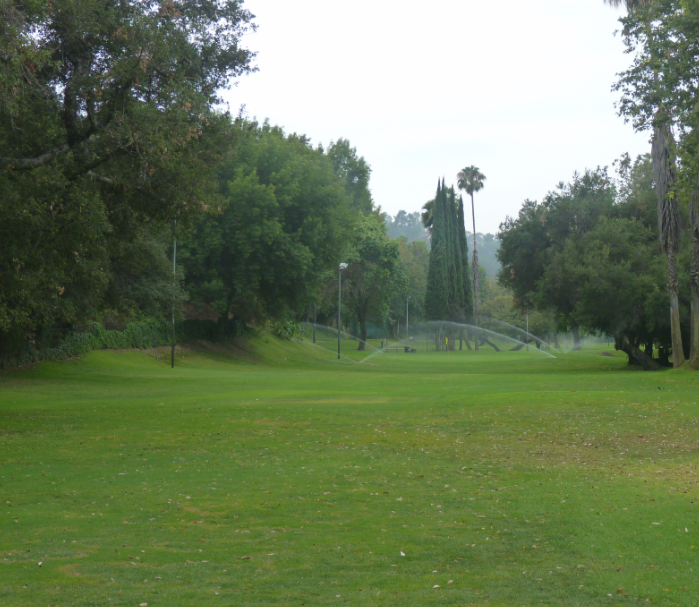 The course had a lot of trees and was a little like Los Feliz in that aspect. There was a nice flow to the course and the holes were clearly marked. 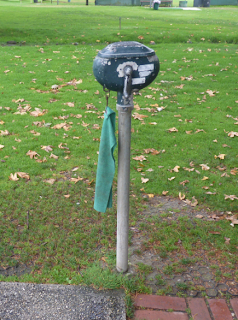 Each tee box had a bench and ball washer. You hit off mats and no tees were provided. Most of the holes had two mats, ladies and gents. 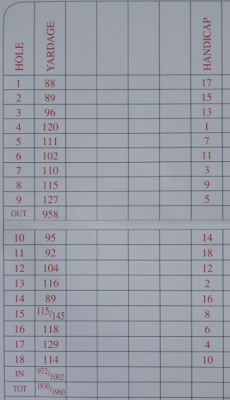 The ladies yardage for the course is 1,876 (101 yards shorter than the mens). The key to playing this course is accuracy. The holes are relatively narrow. 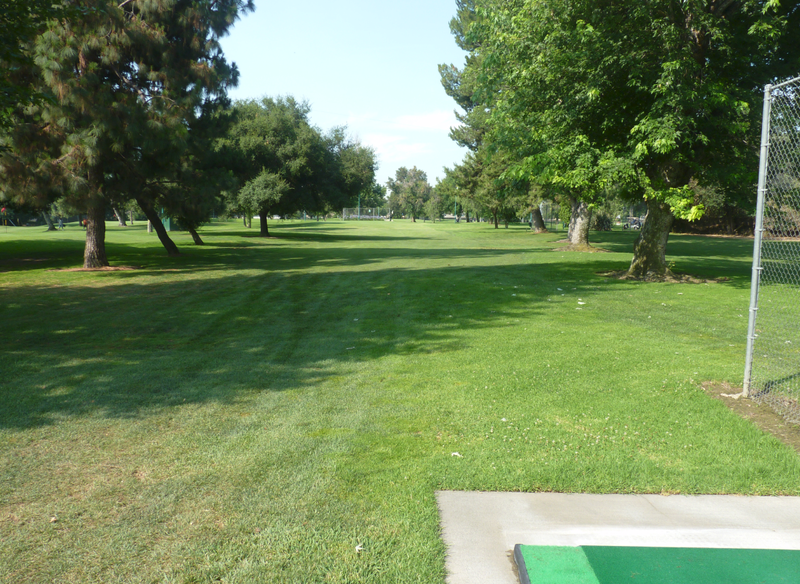 If you are hitting straight you will avoid any other the trees and hazards and shoot a low score. The pin positions were set in challenging locations, often within 10 feet of the edge of the green. The standout hole for me was number 15. It was a 106 yard hole with a large bunker right at the front of the green. 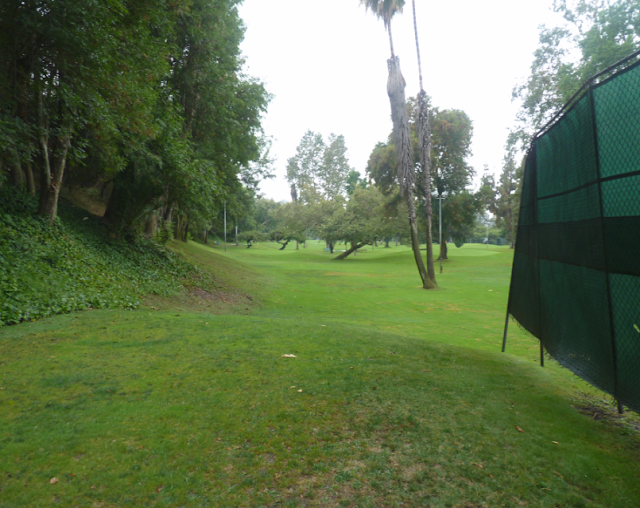 When we played the pin position was set right behind the bunker about 10 feet back onto the green. 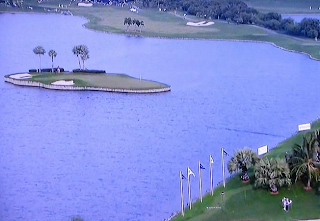 We have all seen the guys on TV hitting greens and seeing the golf ball zip back. If you want to impress the ladies or playing partners read below. This guide is courtesy of www.GolfSmith.com. Use a short iron or wedge. It is difficult for most amateurs to get enough height on the ball, which is a requisite for backing up the ball. For that reason, you should not try to impart backspin on shots with clubs longer than a seven iron. Start practicing this shot with a lob wedge. It will give you confidence as you hit longer shots later. Position the golf ball more toward your back foot, rather than in the center of your stance as you would on a regular shot. That will force you to hit down on the ball, which will create backspin. 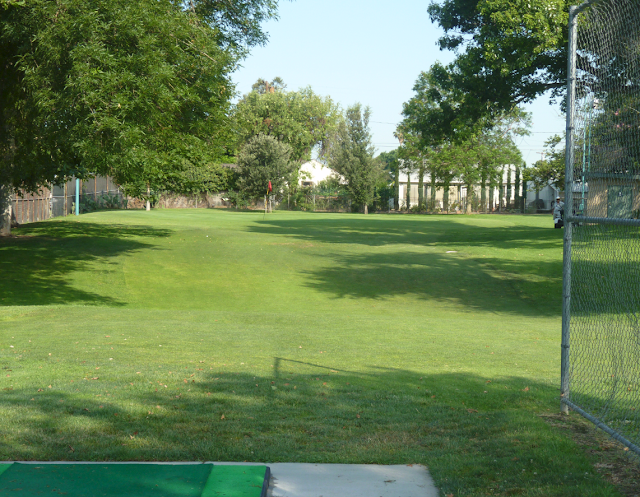 Swing down hard and hit the ball first, taking a divot in front of it after the ball is struck. 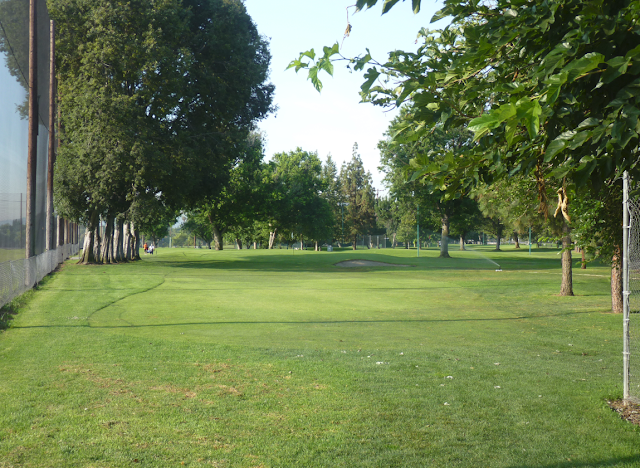 Hit this shot if your ball is resting in a clean lie on the fairway. Making a golf ball back up from the rough is difficult, even for the most talented professionals. Choose the right golf ball to help you create backspin. Generally, a golf ball with a wound center will improve your ability to impart backspin, rather than one with a hard center. 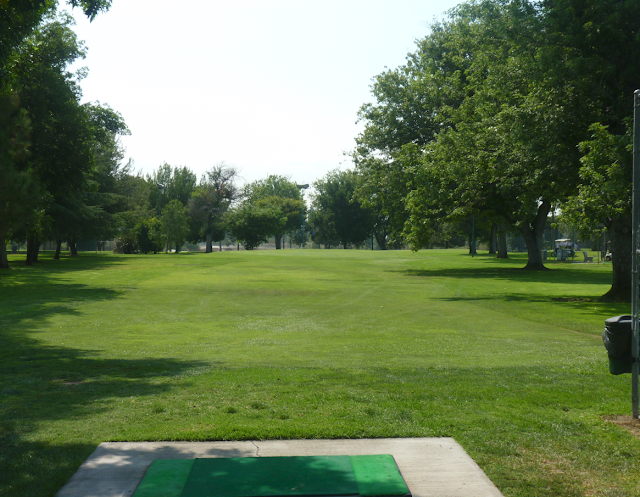 A golf ball with a 10 compression is used by golfers who hit the ball hard and far. However, if you are into both backing up your golf ball as well as distance, you may find a 90 compression ball more to your liking. Try adding backspin to your golf ball only if you are hitting into the wind. 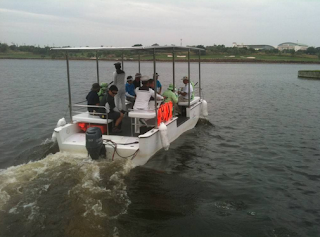 Even the professionals do not try it if they are hitting downwind. By hitting the ball into the wind, it will travel higher and most likely have maximum backspin. 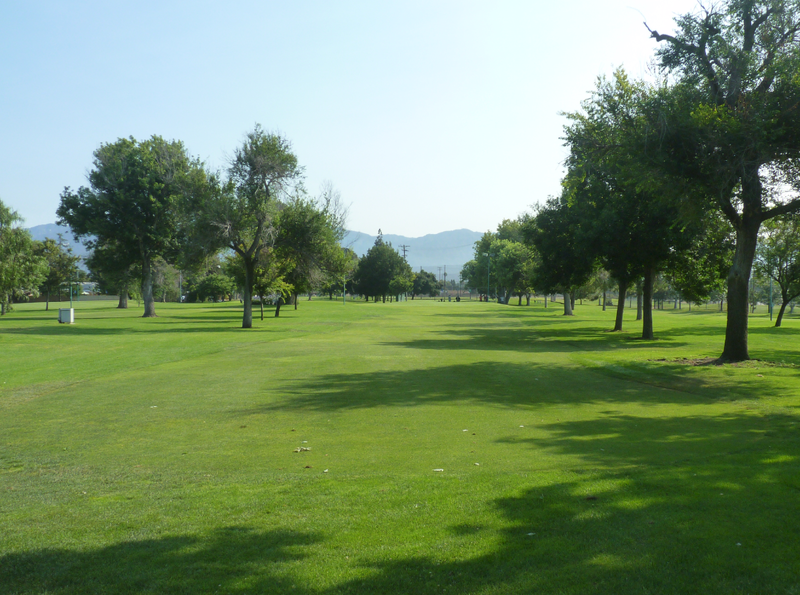 You need to be playing on a golf course with decent greens. 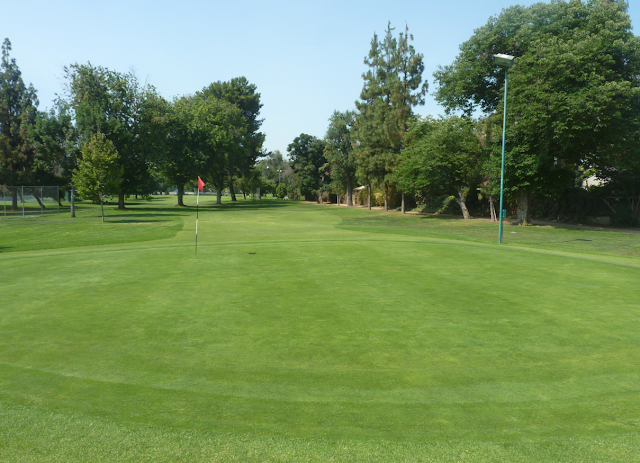 If you are playing on a course which has bad greens, with long grass or holes/ divots it will be almost impossible to put a lot of spin on your shots. Also you need a good quality golf ball (soft type). If you are using a beaten-up used golf ball taken from a bargain bucket 10 years ago, the chances are no spin! South African pro-golfer Charl Schwartzel had a “mantrum” during the first round of The Open in Muirfield (Scotland) today. Having bogied each of the first three holes his frustration was high. On the fourth hole his tee shot went into the long rough to the left. His shot out from the rough missed the green and he knew down his club in anger. His two-handed beat down of his 6-iron snapped the shaft of the club in half. He had to play the remainder of the round with a club less in his bag.